Check out a great new film now screening on PBS - called As Goes Janesville. 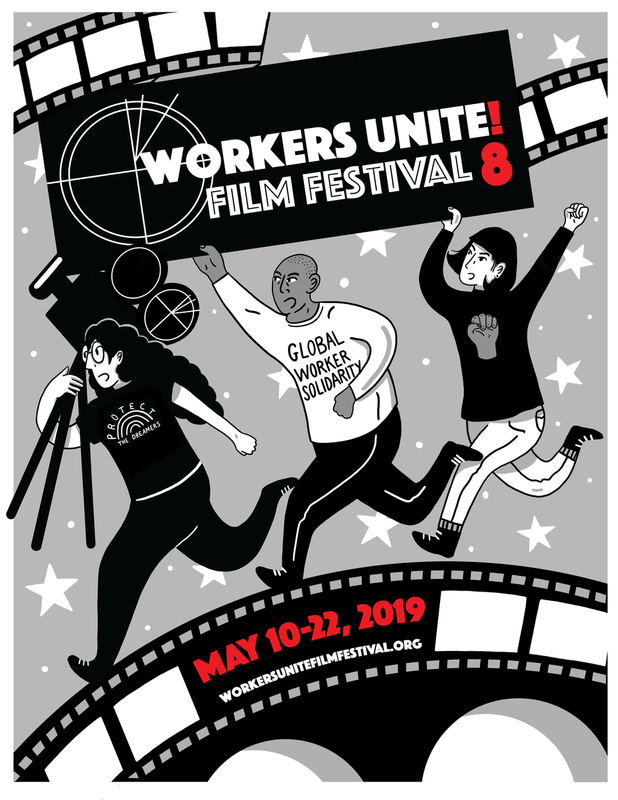 This powerful new documentary, played currently on Independent Lens (also available on DVD) goes deeply into the recent battle for labor rights in Wisconsin. The film really follows both sides, workers laid off from good middle-class jobs at the recently closed GM Janesville plant and several smaller local factories - as well as owners of those same factories. The film also follows the activities of Janesville's City Manager and Board as they try to figure out a future without GM and make honest efforts to replace that tax base, but also some sad and ridiculous gambles in the name of "free enterprise." This documentary is heartbreaking as we watch scenes of a mother of two teenage daughters, being forced to travel five hours away to find work at a an auto plant in another state. On the flip side, it made my skin crawl to watch the all white executive board of a local manufacturing company, a company that had laid off many workers during the downturn and was now looking to rehire, but hoping these former employees had left the state to find work. Why? Simple. New hires as opposed to rehires could be had for much lower wages, no pesky past pay scale to contend with. And this board was thrilled and chuckling over this prospect. Not a single second of understanding on the part of these Midwestern, likely Christian folks, that their actions so deeply and negatively affected their follow Janesville neighbors. The film goes on to document the ups and downs of one Democratic State Legislator, elected as a centrist, but then stunned to see just how radical and uncompriomising the newly elected Governor Walker and Tea Party Republicans are when it comes to destroying collective bargaining rights in once progressive/labor Wisconsin. The anger and hatred pouring out of these medium sized business owners and local bureaucrats for labor unions and really workers in general is a sad commentary on a small portion of our society that sees everybody else around them as simply tools to help them create ever greater wealth - not much different than the current national campaign by the GOP. And while the same business owner who was positively gleeful over the prospect of hiring all new low-wage workers for her plant fawns over a Scott Walker visit to a local right-wing booster group called Rock 5.0, she epitomizes the bizarre nature of this current system when it is reported towards the end of the film that she personally donated over $510,000!! to Scott Walker's record breaking, costly recall fight. At the same time, Janesville city officials, during a period of terrible economic downturns, with a GM plant closing for good and many local families facing really desperate times, turns to the entrepreneurial dreams of an unproven high tech company as their salvation. The film follows with devastating effect the battle of the city manager to push through a $9 million loan to this medical equipment start-up company - with no income, no real product and still in need of over $15 million more to make a future pay-off to the city even remotely a reality. The kicker is that the future 120 jobs possible created down the road? Both sides agree that almost none of them will come from the local population! And this is called "free market" vision? All the while the needs of the local unemployed are basically shoved aside with the explanation that their survival is not a community problem. This film directs our attention in a very precise way to the complex nature of the fight labor unions and workers now face in a society still awash in popular folklore about the holiness of business success. This remains true even after the complete destruction and collapse of America's financial and housing sectors due to unrestrained gambling on the part of so many "brilliant businessmen." And why is this still true? Look at the media. Look at who has the money to finance most media. Everyday we are bombarded by how the massive financial meltdown was just a small glitch in the machine. No real corrections have been made, Chase Bank, Bank of America, among others, have recently continued to lose BILLIONS in highly speculative financial instruments. Nobody has even been indicted at the managerial level of these gamblers who almost brought down the economy. And as the recent article in the New Yorker detailed, these financial titans of banking and Wall Street are not the least remorseful - they rather feel that President Obama has not treated them with "the respect" the actually deserve. Stunning. But lost in these big stories are the smaller stories portrayed in the film. The mother of two forced to move away to find work, the single mother, a veteran of Afghanistan, laid off in Janesville, sweating out a diagnosis over a breast lump, with health insurance from her job and unemployment benefits both run out. All the working folks in this film, including these women quietly persevere, but the stresses they face and the obvious toll it takes on them and their families serves as a huge reminder of the ridiculous waste of this winner take all economy and the mentality that says that's just AOK. Workers who gave years of their lives to make a business thrive deserve better than this and labor unions need to watch this film carefully to understand how difficult the battle will be to reassert the right of workers to organize into unions.